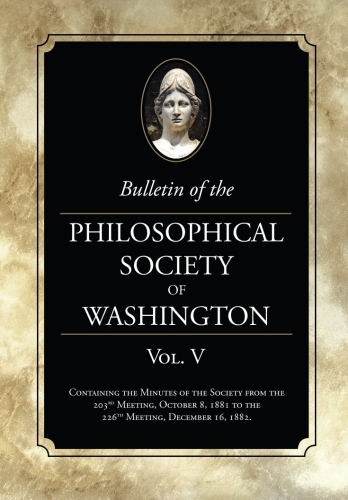 The Philosophical Society of Washington was founded on March 13, 1871. It was preceded by gatherings at the home of Joseph Henry, the great scientist whose discoveries laid the foundations for advances in magnetism and electromagnetism. Since 1887 it has met at the Cosmos Club, in whose founding the Philosophical members played a large part. In 1878, when the Cosmos was founded, there was fear that the Philosophical would start an alternative club, so all the present members of the Philosophical were invited to join as founding members of the Cosmos.